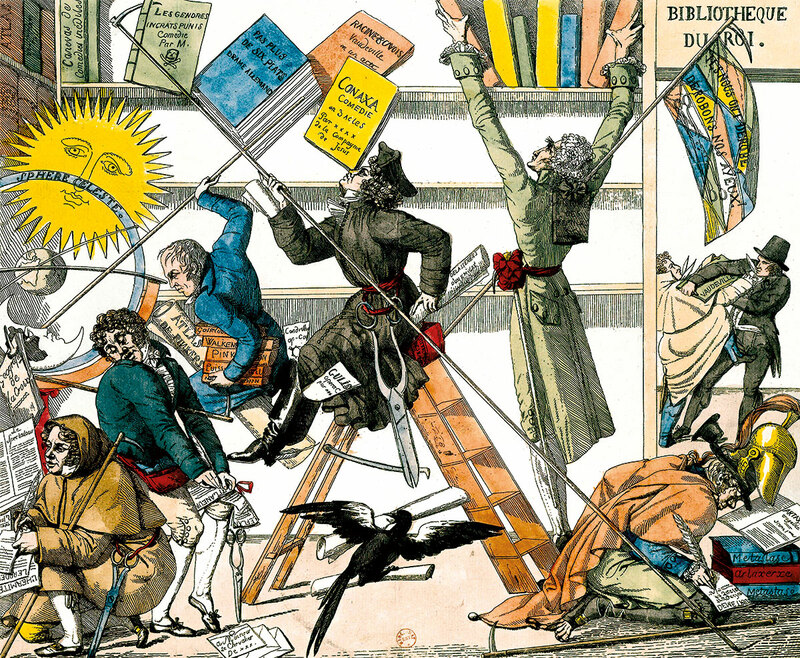 From the Thirty Years War to the ancient civilisation of Iran, from Anglo-American rivalries in the desert to the persecution of indigenous peoples, historians select their favourite books of the past year. Biography is not usually my favourite route into history, but David W. Blight’s Frederick Douglass: Prophet of Freedom (Simon and Schuster) is an exception. Douglass is one of the most contested figures in American history. This is his first comprehensive biography for more than 30 years and makes use of substantial new source material. Blight, who knows more about his subject than anyone else alive, having edited Douglass’ own autobiographies (he published three), writes stylishly. But Douglass was a troubled figure, a true ‘prophet of freedom’, the sheer power of whose passions and intellect drove him long after achieving his own liberty to continue the struggle for civil rights. Blight brings to his study a lucid objectivity which is refreshing given the hagiographic tone of much that has been written about this man. It partners well with Sarah Kinkel’s Disciplining the Empire: Politics, Governance, and the Rise of the British Navy (Harvard), which brilliantly outlines the competition for power and authority across the British class system. Edith Hall is Professor of Classics at King’s College London. David Grann’s Killers of the Flower Moon: The Osage Murders and the Making of the FBI (Vintage) is beautifully written, a snapshot of the US in the 1920s very different from the gilded world of F. Scott Fitzgerald. After being relocated to barren land, the Osage Native Americans discovered huge reserves of oil on their patch of Oklahoma and became so rich they replaced their Cadillacs when a tyre went flat. Greedy whites did not like it and many of them met mysterious deaths. Attempts to get to the truth were stymied by the police, the pathologists and the courts until an agent from the newly founded FBI arrived on the scene. Serhii Plokhii’s Lost Kingdom: the Quest for Empire and the Making of the Russian Nation from 1470 to the Present (Harvard) is essential to anyone wanting to understand the current conflict in Ukraine. It is also a rich account of Russia’s – and Vladimir Putin’s – sense of cultural and religious superiority. Michael Burleigh is author of The Best of Times, the Worst of Times: a History of the Present (Macmillan, 2017). Among the books published on the 400th anniversary of the outbreak of the Thirty Years War, Hans Medick’s Der Dreissigjährige Krieg: Zeugnisse vom Leben mit Gewalt (The Thirty Years War: Testimonies to Living with Violence – Wallstein) stands out. In a field dominated by master narratives of political and military history, Medick offers an account of the conflict built around ordinary people, which gives colour and texture to discussions of the war and its place in German history and memory. A collection edited by Neil Gregor and Thomas Irvine, Dreams of Germany: Musical Imaginaries from the Concert Hall to the Dance Floor (Berghahn) offers an impressive range of perspectives: from Wagner reception in Meiji Restoration Japan via concert-going in early 20th-century Frankfurt to queer club culture in contemporary Berlin. Like Medick, the editors are concerned with the memories of violence that pervade German history. Bridget Heal is author of A Magnificent Faith: Art and Identity in Lutheran Germany (Oxford, 2017). I greatly enjoyed Abbas Amanat’s Iran: A Modern History (Yale), a magisterial account of Iran from 1501 until (more or less) the present day. Amanat has done a wonderful job to shine light onto the past of an extraordinary country – and civilisation – whose future is as important as its past. I also loved Kassia St Clair’s The Golden Thread: How Fabric Changed History (John Murray) as well as Lucy Inglis’ Milk of Paradise: A History of Opium (Pan Macmillan). Both of these remarkable books achieve exactly what they set out to do, tracing histories of the world through textiles and opium respectively. Both are hugely ambitious, sparklingly erudite and wonderfully engaging. Peter Frankopan is Professor of Global History at the University of Oxford. His latest book is The New Silk Roads: the Present and Future of the World (Bloomsbury, 2018). The most stimulating book I’ve read this year has been John Blair’s Building Anglo-Saxon England (Princeton). This magnificent work draws together a wealth of archaeological, artistic and written evidence to offer a new picture of the inhabited landscapes of early medieval England: a complex world of towns and farms, great halls and holy places, all brought to life in astonishing detail. It is a world in some ways familiar, helping to shape the English landscape as we still see it today; and yet also deeply and tantalisingly unfamiliar, a society in which even the grandest human dwellings were made of organic and transient materials while permanence was reserved for immortal beings alone. Beautifully written and generously illustrated, this book is essential reading for anyone who wants to understand how the Anglo-Saxons saw and interacted with the places in which they lived. Eleanor Parker is the author of Dragon Lords: the History and Legends of Viking England (I.B. Tauris, 2018). The discovery of a perfectly preserved 2,400-year-old ship advances research into seafaring and trade in ancient Greece. The ship resembles that on the British Museum’s red-figure stamnos, the Siren Vase, which shows Odysseus strapped to its mast, so as to resist the songs of the Sirens. This story comes from Homer’s The Odyssey, a fabulous new translation of which Emily Wilson has provided (W.W. Norton). An accessible and authoritative reading of the first great story of the western canon, it not only matches the number of lines of the original, but also its drama, musicality and pace. Why Does Michelangelo Matter? is the title of a book of essays by Theodore K. Rabb (SPOSS). Drawing on examples from the past 500 years, he argues for the importance of visual evidence and analysis to enhance the historian’s armoury. An eminently enjoyable, provocative read. Philippa Joseph is an art history tutor at Oxford University’s Department for Continuing Education and former reviews editor of History Today. Gabriel Reynolds’ The Qur’an & the Bible (Yale) fills a gaping hole to revelatory effect. By providing a commentary on the Qur’an that focuses on its debt to biblical texts and traditions, it contributes hugely to the ongoing project of anchoring the qur’anic texts to the bedrock of late antiquity. The impossibility of understanding the Qur’an’s origins without reference to the context provided by Jewish and Christian scripture has never been more painstakingly demonstrated. I also admired and appreciated John Blair’s Building Anglo-Saxon England (Princeton), which provides a cutting-edge survey of how England came literally to be built. Beautifully illustrated and possessed of a panoramic sweep, it integrates archaeology, topography and textual studies to ground-breaking effect. The origins and early history of places across England are brought alive as rarely before. Anyone who has to make long cross-country drives during the festive period should be sure to pack it. Tom Holland’s Dominion: The Christian Revolution and its Aftershocks will be published by Little, Brown in 2019. Rob Boddice’s The History of the Emotions (Manchester) is a book for anyone intrigued, confused or excited by the ‘emotional turn’ in history. His approach is persuasive, wide-ranging and concise. It is a robust defence of the emotions as a historical category, which also promotes interdisciplinary research, particularly the ways in which the humanities and the neurosciences can engage. Unlike the emotions, biography is a well-trodden path for historians and one which continues to prove fruitful, as Susan E. Whyman’s The Useful Knowledge of William Hutton: Culture and Industry in Eighteenth-Century Birmingham (Oxford) demonstrates; a fascinating account of a man whose passions were ‘writing, reading and making money’. This self-educated entrepreneur was emblematic of the rise of industrial English towns that relied as much on the cultural activities of their inhabitants as on their commercial acumen in promoting economic growth. Hannah Barker is Professor of British History at the University of Manchester. There are relatively few detailed studies of the impact of Russian imperialism on the Middle East, a consequence no doubt of the paucity both of scholars fluent in Russian and the limited accessibility to the Russian archives: that brief window of opportunity in the 1990s has long since closed. Denis Volkov’s Russia’s Turn to Persia: Orientalism in Diplomacy and Intelligence (Cambridge) is by no means an easy read and, as the product of a doctoral thesis, it retains much of the scholarly apparatus that many readers will find frustrating to navigate. But it fills a major gap in our knowledge and shows emphatically the tight relationship between knowledge and power in Tsarist Russia and the Soviet Union. James Barr’s Lords of the Desert: Britain’s Struggle with America to Dominate the Middle East (Simon and Schuster) is, in contrast, a rattling good read of a familiar story presented from an altogether different and fascinating, perspective. Ali Ansari is a Founding Director of the Institute for Iranian Studies at the University of St Andrews. Medieval Europe has long been outside discussions of race: if the people of the Middle Ages had no concept of race as we define it, they could not be racist. In The Invention of Race in the European Middle Ages (Cambridge), Geraldine Heng shows repeated cases which would unambiguously be classified as racially motivated hate crimes today, grounded in religion. This book is field-defining and vital in the current climate. Edward Wilson-Lee’s The Catalogue of Shipwrecked Books (Harper Collins) follows Columbus’ son, Hernando, as he builds the world’s largest private library. It helps us understand the world as it underwent enormous expansion and reorientation. Hernando is perfectly placed to witness it all, literal and intellectual exploration both. Fern Riddell’s radical Death in Ten Minutes: Kitty Marion – Activist. Arsonist. Suffragette (Hodder & Stoughton) asks the uncomfortable question of what actions are permissible in the fight for justice? Were the suffragettes who embarked on a campaign of bombing and arson heroes or terrorists? Kate Wiles is Senior Editor of History Today.